By Arianna Mckinney, VozdeGuanancaste – The month of May is just a few days away, and the Nosara Security Association (NSA) is not sure how they will continue to foot the bill for the monthly expenses to keep the Tourist Police in Guiones. They are urgently asking the community for assistance as they continue wading through the red tape to get the Ministry of Public Security to take over payments, a process they have been trying to complete since 2012. One more step in this effort was completed on February 20, when NSA President Steve Reyer signed a letter of intent to make repairs and improvements to the Guiones Tourist Police office as recommended by the Department of Civil Works, including the installation of a handicap ramp, in order to bring the facility up to the standards required for the government to begin making payments. According to Agnes Pinheiro, NSA treasurer, the list of repairs that need to be done is quite long. One builder gave them an estimate of $20,000 for doing all the work, but the NSA is confident that they can do it for less than that by asking community members for donations of materials and labor. 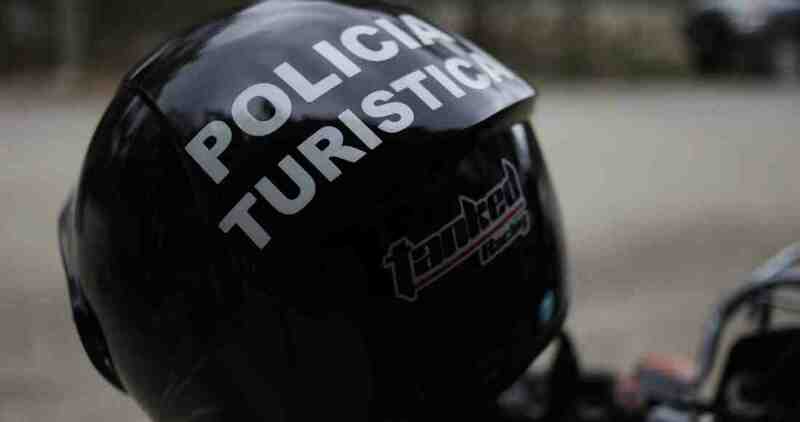 The letter was addressed to Xinia Vasquez Mora, national director of the Tourist Police and came after a long and unsuccessful search for a different facility in the community that would be suitable to house the police. The NSA has not yet received a final response to the letter of intent and needs to continue paying the expenses to keep the police in town in the interim. After the email was sent out, the NSA received some donations, totaling about $2000. However, the rent, electricity and phone bills for the tourist police in Guiones run around $1200 per month, and the NSA has been struggling with a deficit since last year. During the NSA meeting in November of 2013, Pinheiro reported that the association had a deficit of $8000. Since then, Pinheiro said the deficit has grown, and private individuals have been lending the NSA money to pay the electricity and phone bills in the hope that donations will eventually be enough to refund them. This is not the first time the NSA has reached its financial limit and solicited help in desperation to keep the police in town. Especially in low season, the donations have repeatedly dried up and the threat of losing the police presence returns. However, after two attempted rapes in November of 2013, one in the area of Pelada known as cinco esquinas (five corners) and one at the Baker Beach entrance of Guiones Beach, the community showed increased support of the security association efforts. “We now have a pretty active and dedicated security committee, with a few other persons coming to meeting and helping out, better than the previous years,” Pinheiro commented. Another effort that may eventually alleviate this problem is the Nosara Integral Development Assocation’s plan to build a district station in downtown Nosara, which would have room to house up to 50 officers, including the Public Force, the Tourist Police, the volunteer firefighters, Red Cross and a daycare center for children, according to Marcos Avila, president of the development association. However, Pinheiro said the NSA can’t count on that yet since they have no idea when the station will be completed and have not yet confirmed if the tourist police could be housed there. “Right now we have to concentrate on what we have and start the renovations slowly but surely, so that we have the Ministry take over and keep the Tourist Police in town, until we have a better option,” she said. Donations can be dropped off at Coconut Harry’s or Villa Mango, or can be made electronically through PayPal using the donate button at http://www.nosarawatch.com/donate.